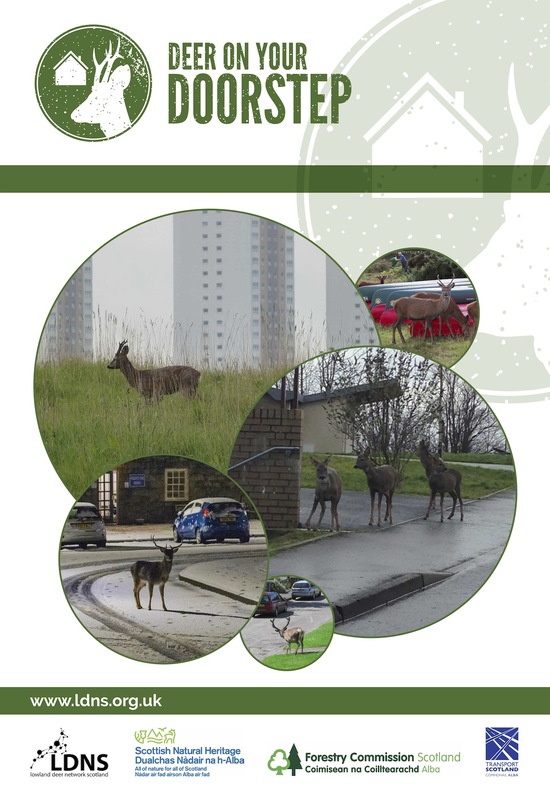 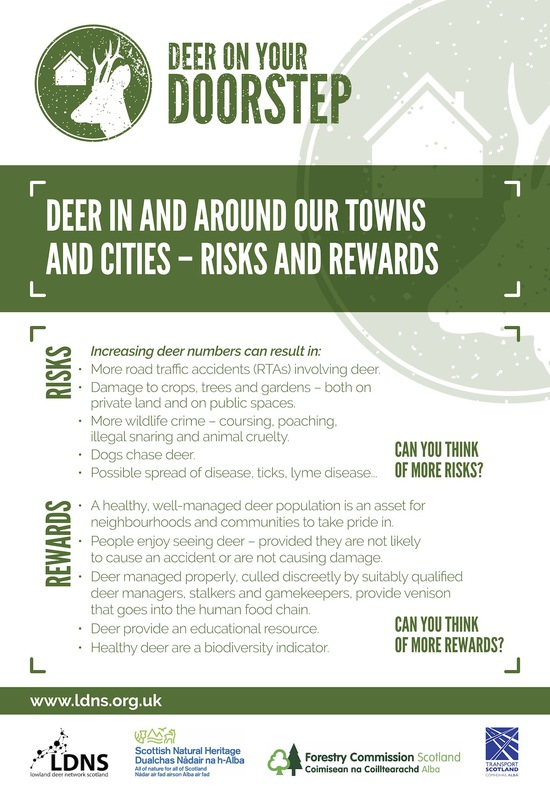 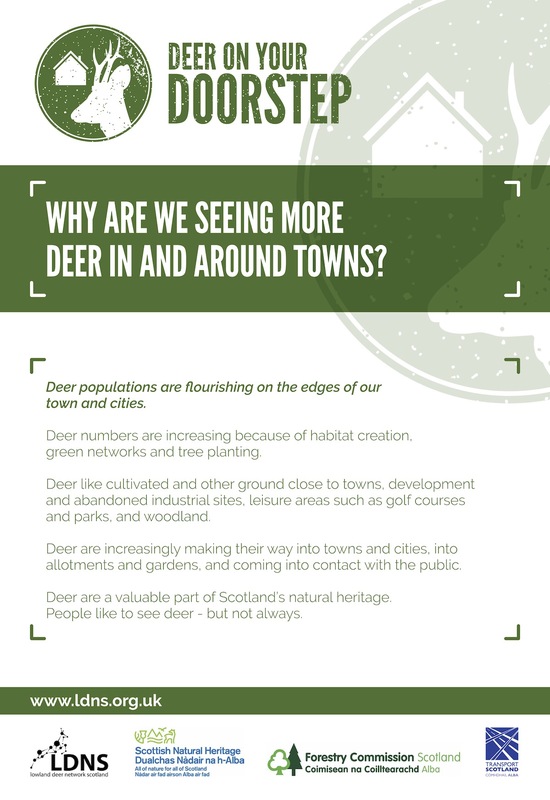 The Deer On Your Doorstep project is designed to introduce an understanding of deer management to local areas, and particularly the requirement for deer management on the urban fringe. 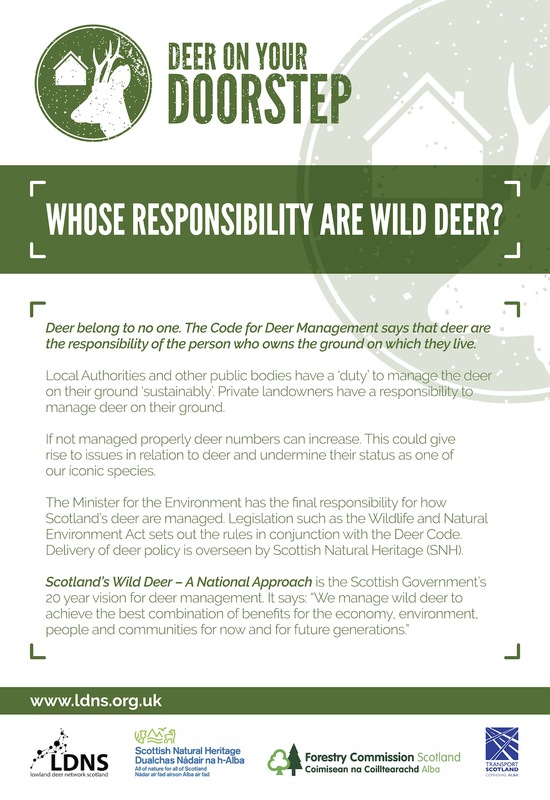 The display panels shown below are available full size as an exhibit for public spaces, libraries, Local Authority offices, schools, Community Council meetings etc. 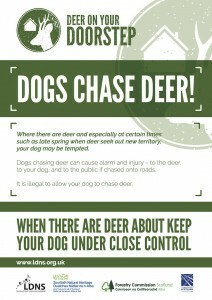 There is also a poster highlighting the dangers when Dogs Chase Deer! 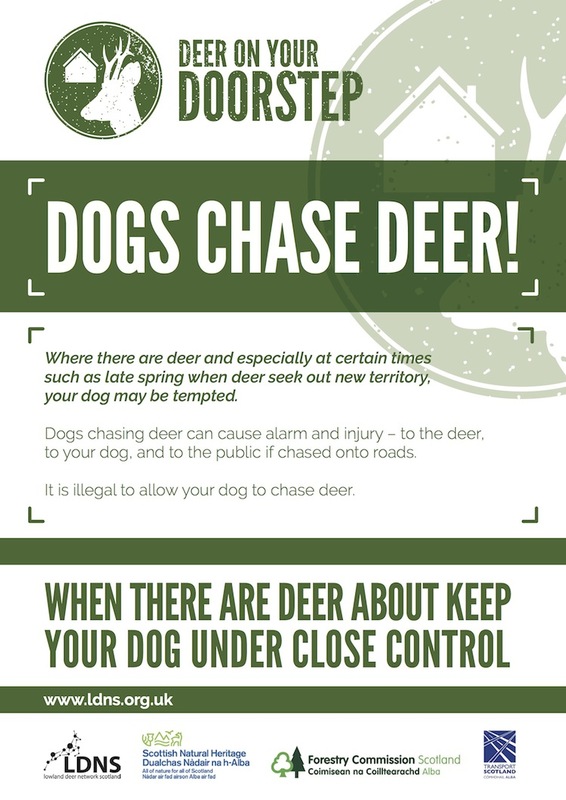 Scroll down to see all the display panels/posters available.